Retro Baroque Man With White Wig Holding A Walking Stick Sitting.. Stock Photo, Picture And Royalty Free Image. Image 29269039. 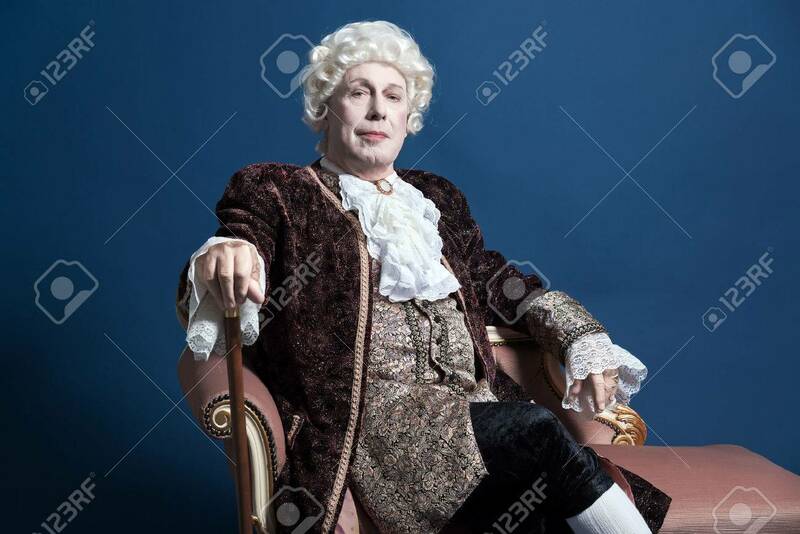 Stock Photo - Retro baroque man with white wig holding a walking stick sitting on antique couch. Studio shot against blue. Retro baroque man with white wig holding a walking stick sitting on antique couch. Studio shot against blue.